So you've decided to start a home business; what is the next step? Creating your very own business enterprise is a giant leap, and will initially take a great amount of planning, time, and most of all, patience. However, learning the basics of the home business world beforehand can save you much of the hassle and frustration that comes with the home-based biz territory. And best of all, in the end, you will be truly rewarded for your efforts. You must be prepared to treat your home business like an actual "business." Even though you are not leaving the comfort of your own home each and every day, realize that this is your job now. Your house is your new place of employment. Many home-based businesses fail because their creators cannot seem to adjust to working in the home environment, as they struggle to commit to their new found freedom. A strong work ethic and positive attitude can go a long way in home business development. Decide the type of home business that you would like to create. Would you like to sell a product, promote a program, or offer a service? Brainstorm and think of an idea that is well-suited for you, and accompanies your interests. Also think of a business that will implement your strengths as a business professional. You must keep in mind that this is a business that you visualize yourself participating in for the long run. Sometimes, the obvious can be the best choice! Assembling a viable home working environment is a must if you hope to accomplish any of your chosen goals. A comfortable chair and desk are essential, as well as, common office supplies. Pens, notebook and computer paper, folders, and binders are just a few necessities for the home business boardroom. A current computer and system are also a must have. This computer should first be equipped with basic database and word processing programs. A large percentage of business operates solely through the web, so an internet connection is extremely important. High speed and broadband connections are recommended for those in the business world. Be prepared to present a professional image for your new company. If you expect to be treated as a business peer, you must always act with professionalism, especially when dealing with your clients and the public. It is a good idea to separate your personal and business accounts. Opening a different bank account for your home business is advised. 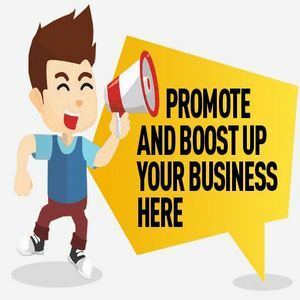 Professional marketing materials promoting your business are also recommended. Company letterhead, business cards, envelopes, and a unique logo are a great way to distinguish yourself from your competitors, while also advertising your newly formed enterprise.